Once upon a time, before it became a halfway house for has-beens, MTV actually mattered. “M” meant “music,” and when a new episode of the occasional acoustic series hit the airwaves, I was in heaven. There’s something about stripping a song down to its’ bare essence that moves my soul. I don’t mean to sound ethereal, but there’s no other way to describe it. A Marc Cohn track from his third album provides a good example. The studio recording of “Lost You In the Canyon” is tricked out with cell phone beeps and jagged fuzz tones; the meaning is buried beneath. Cohn is backed by a single guitar on a live version of the song released a couple of years ago. When he sings, “I can’t fix this bad connection, in the wires or the blood,” the ache of his alienation is palpable. Nirvana’s “Unplugged” appearance had the same effect. Hearing the previously indecipherable lyrics of “Come as You Are” and “All Apologies” in all their naked desperation, with Kurt Cobain’s suicide still in the news, was chilling, gut wrenching. 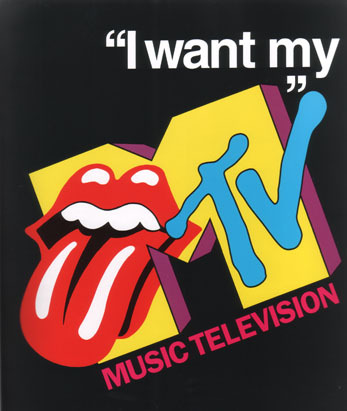 Of course, as MTV devolved into self-parody, “Unplugged” followed a path much like the American automobile industry, adding tail fins, chrome and fat pipes to a form that really didn’t need fixing. When Mariah Carey brought along a 20-voice choir, the show began to jump the shark. But there were still some superb “Unplugged” moments left, like Eric Clapton’s reinvention of “Layla,” the Rod Stewart/Ron Wood reunion featuring “nothing but old songs,” and Bob Dylan’s visceral set in 1995. However, for each of those there was a Hootie and the Blowfish with a string quartet, or some hip-hop ego fest crowded with so many band members, there was barely room for an audience. These days, if you want to see music pared down to the basic elements, you’re better off ordering DVDs from Amazon than checking the television (well, maybe the occasional PBS special or boutique HD channel). A few artists still go out of their way to deliver it unadorned, like my favorite lyricist Jackson Browne, who just released his second “Solo Acoustic” CD. But mostly, it’s a memory. OK, enough nostalgia – what’s new? Thursday: Dartmouth Idol, Hopkins Center – The next Jordin Sparks or Taylor Hicks might be crossing the Dartmouth Green as you read this. At least that’s the premise of “Dartmouth Idol” – four women and two men facing off in a talent competition. The winner gets 500 bucks and the chance to record a two-song demo. Check out the finalists on dartmouthidol.com – they’re good, in particular the scale-climbing vocalist Kaitlyn Sheehan ’09. Friday: James Hunter, Lebanon Opera House – I caught this British soul man at last year’s Green River Festival, and it’s not a stretch to say he stole the show. With a crack horn section behind him, Hunter has the silky smoothness of Sam Cooke in his prime, wrapped in a bad boy persona. Van Morrison calls him one of his favorite singers, which is no surprise – Van and James are cut from the same cloth. Saturday: Session Americana, Middle Earth Music Hall – The closing of the best, make that the only, area club dedicated to music is but months away unless a buyer is found. But owner Chris Jones is going out in style with some great shows. These low-fi masters crowd around a small table, with one ambient microphone for amplification, and swap songs with abandon. Some of the best musicians in New England make up SA; collectively, they’ve worked with everyone from Morphine to Patty Griffin. Sunday: Shawnn Monteiro, Center at Eastman – I plugged this excellent singer’s last area performance and misspelled her name, so no mistakes this time around. Monteiro has gorgeous phrasing, her voice wraps around a tune like syrup on ice cream; it’s that delicious. In particular, her version of “The Nearness of You” sheds new insight on an American standard. Tuesday: Adrian Belew Power Trio, Iron Horse – Belew’s reputation is bolstered by stints with King Crimson, Bowie and Talking Heads. But the guitarist has made a busload of great records all his own. These days he’s working with Eric and Julie Slick, a brother and sister team he met at the real-life influence for the Jack Black film, “School of Rock.” His 1989 video, “Oh Daddy,” made me a fan. Wednesday: Gillian Joy, Canoe Club – She’s a new face at Hanover’s most music-friendly club, a piano player with a solid Southern Maine following. Gillian Joy’s playing has been compared to George Winston – subtle but skilled, nuanced yet strong. Canoe Club impresario John Chapin calls her “totally promising,” which is enough for me. totally agreed. unplugged (noun) NOT PLUGGED IN. this is not for electric guitars, keyboards, etc. a great example of unplugged was ‘the cure’ who used a toy piano and group of people with kazoos! Hey, did you know that they’re doing Dartmouth Idol again this year? Kaitlyn Sheehan ’09 is one of the finalists again. It’s on Friday, March 6th, 2009 at 8pm at Spaulding Auditorium here are Dartmouth.